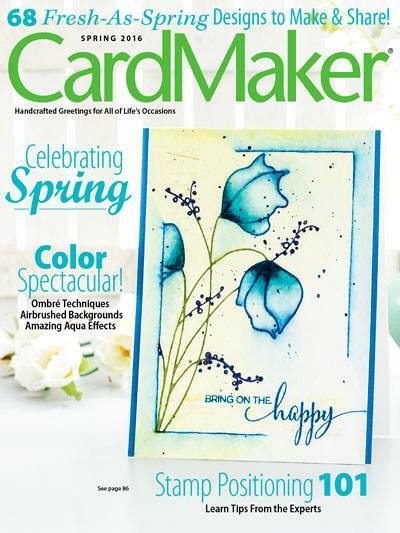 Hello friends....quick post today...I have been attending class at Kick Start Online Class with Kristina Werner and Jennifer McGuire and if you ever needed inspiration to break out your cardmaking supplies...I suggest you take this class. It is only day 7 of a two week class, I am so impressed with all the ideas I have seen and heard. We have homework every night (yikes, I am so behind), but I wanted to post my card that was inspired by Kristina. I used 3 products (besides tools, adhesive and base card). This is my take on her card. Love your take on Kristina's card. I used the same paper pack. I popped over from SCS as I wanted to thank you for your comment on my card. I see you are in class with me. I love your card! 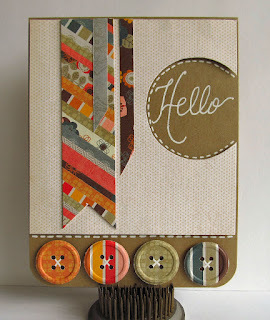 I haven't tried this yet, but love the papers and buttons you used! Your hello is so great. My handwriting will not look so good! See you in class! Ok Penny, where did you fine those perfect buttons to go with that paper pack? Loving class, your cards are inspiring, thanks for sharing. This is gorgeous and I LOVE THOSE BUTTONS! Ger x. These colors are wonderful Penny! Wonderful mixture of shapes too!